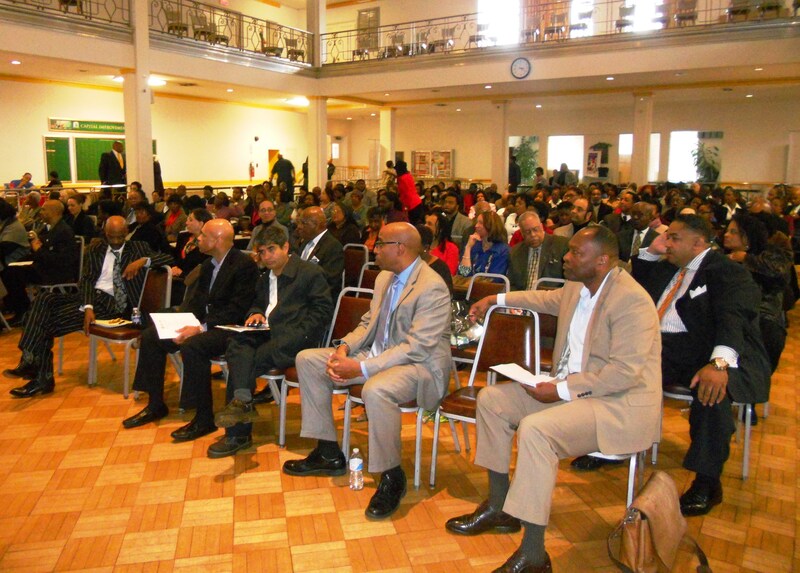 This weekend, the Commerce Department’s Center for Faith-based and Neighborhood Partnerships joined forces with the Minority Business Development Agency (MBDA), BusinessUSA, the Small Business Administration (SBA) and 19th Street Baptist Church to host the first Business Sunday in Washington, DC. Business Sunday is a program focused on promoting local economic growth and job creation by connecting congregations and communities with the valuable business development resources offered by the Federal Government. Close to 300 business owners, entrepreneurs and nonprofit leaders came together for the first Business Sunday, packing the fellowship hall at 19th Street Baptist Church. The event included greetings from Melissa Rogers, Executive Director of the White House Office of Faith-based and Neighborhood Partnerships, as well as presentations from SBA, MBDA and BusinessUSA on how to access important technical assistance, business counseling, loans and other practical resources. Participants also had the opportunity to sign up for health insurance for their business or themselves through the DC Health Benefit Exchange. Following the event attendees stayed for more than an hour to network and speak individually with Commerce and SBA staff. Business Sunday is a reflection of President Obama’s and Secretary Pritkzer’s shared commitment to strengthening our economy by empowering our people – our business owners, entrepreneurs, community development organizations, faith-based groups and others – to effect positive change at the local level. We look forward to continued collaboration with our partners to keep this work moving forward. Submitted on April 3, 2014 - 8:51am. BusinessUSA was proud to participate in this important local event. We wish all who attended success and prosperity with their business ventures.